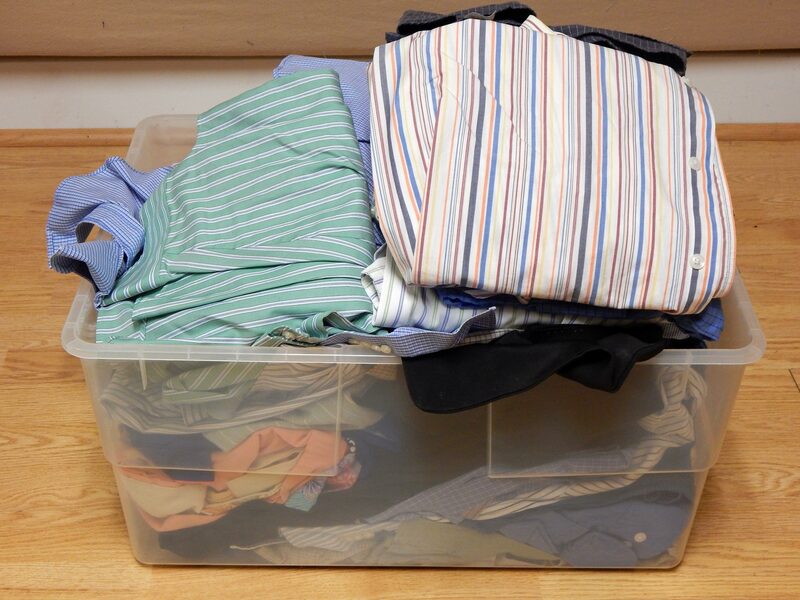 This pile of blocks barely made a dent in the pile of shirts! The holes are because I unaccountably made too few double 4-patch blocks. Luckily, that was one of the easier blocks in this quilt, so it the error won’t be difficult to fix! As you can see, both the red and the orange made good accents. The interesting thing to me about this quilt is that those little accent blocks save the day. 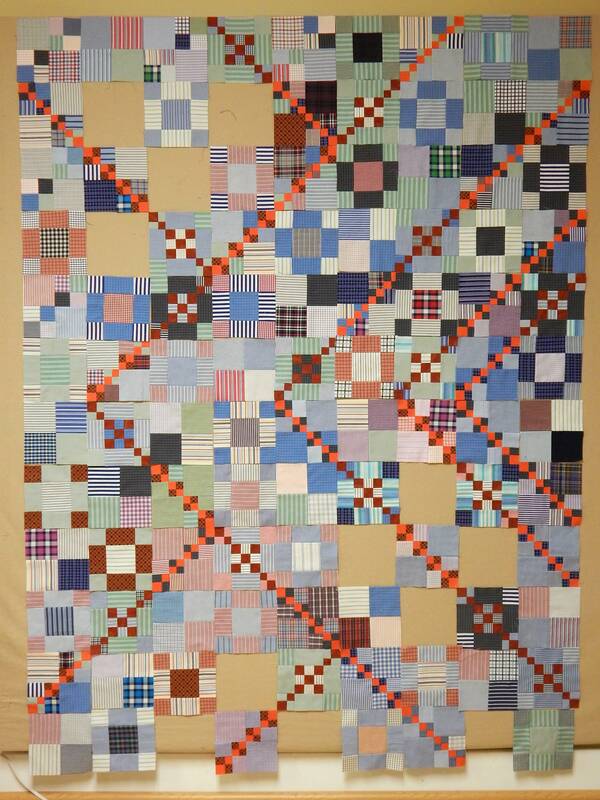 There is WAY too much variety in the quilt for it to be a good design without those diagonal orange and red lines created by the tiny blocks. They pull the whole thing together by giving it structure. This entry was posted in Quilt Design, Quilting and tagged clothing, scrap blocks, scrap quilt, scraps by zippyquilts. Bookmark the permalink. The red and orange accents were a good choice. This is looking great. I love how the little 9 patch blocks with red squares read so differently, depending on whether they are surrounded with light or dark colors. Did you have problems with the different weights and weaves of the fabrics? Oooh, yes. The variety of weights and weaves was quite a challenge! Thanks! My husband’s shirts are sort of all alike, so the sample fabrics really helped, too. Ooooooooooo, I just love its scrappiness! I echo all the previous comments — the way the 9-patches enhance the red/orange chain, that streak of “heat” across the cool blue — what a super design! Thanks! The design makes all those 3/4 inch patches (the orange and red) worthwhile! Thanks for visiting and commenting. I probably should have repeated from the original post: the pattern is “Trail Mix” and is free on the American Patchwork and Quilting website. Very effective use of an accent color to control the design. I especially like the variations in distance between them (in addition to agreeing with all the above praise). Thanks 😀 I really had no idea how important those little accents were until I put the thing together. It’s gorgeous. You must be pleased. 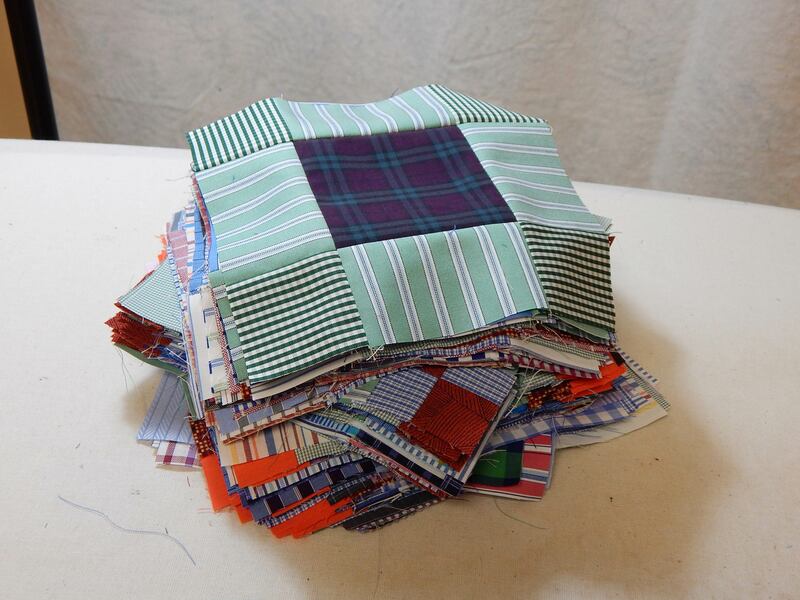 Such a great visible ‘lesson in progress’ on the need for those accent colors and different sized squares…and the fact that it’s a scrap/recycle quilt is always a bonus with me! Keep up the momentum and git ‘er done!